The dorcas gazelle species can be found in northern Africa and throughout the Sahara and Negev deserts and parts of the Middle East. Their coats vary in coloration, depending on the subspecies and location. Dorcas gazelles are generally pale colored with white underparts and two brown stripes on either side. The head is usually darker than the rest of the body and the horns are curved. The amount of horns vary according to subspecies. Horns of the females are smaller and straighter than the males. The average body mass for adults is 36 lbs. The dorcas gazelle is well equipped to inhabit dry land and can be found in a variety of habitats, including savannahs, semi-deserts and sand dune fields. Their diet consists of flowers, leaves, and pods of acacia trees. They also eat fruits and leaves of a variety of bushes. 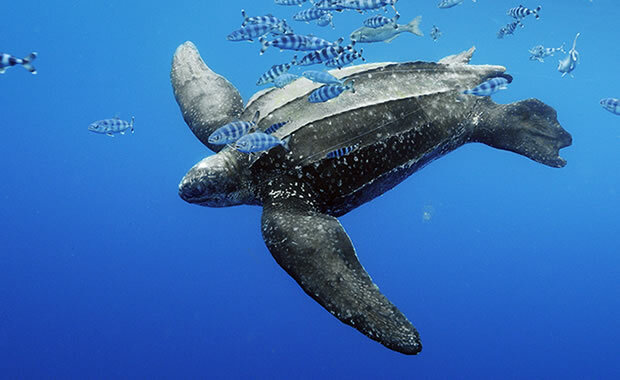 They prefer to travel in pairs or large groups consisting of one or two males and up to four females and their young. Males have been seen traveling in bachelor groups of four or five. Like other desert gazelle species, dorcas gazelles can go their entire lives without drinking water, only getting water found in the plants they eat. Three dorcas gazelle subspecies are endangered: the Saudi Arabian gazelle (G. d. saudiya) of Israel, Iraq, Jordan, Syria, and the Arabian Peninsula, the Pelzeln's gazelle (G. d. pelzelni) of Somalia, and the Moroccan gazelle (G. d. massaesyla) of Algeria, Morocco, and Tunisia. The main threat to dorcas gazelles is hunting by humans for their meat and loss of habitat. Copyright Notice: This article is licensed under the GNU Free Documentation License. It uses material from the Wikipedia article "Dorcas gazelle". Glenn, C. R. 2006. 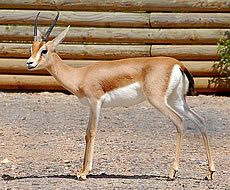 "Earth's Endangered Creatures - Dorcas Gazelle Facts" (Online). Accessed 4/25/2019 at http://earthsendangered.com/profile.asp?sp=169&ID=1. Need more Dorcas Gazelle facts?